This can cause stale or musty smells and even compromise the indoor air quality. Home duct cleaning, is the best way to resolve this issue, but there are several steps you can take to reduce this risk. Address any leaks or air duct seal repair issues immediately. Establish a proper routine of HVAC maintenance. This should include inspecting the cooling coils and drain pains regularly. Empty any water from the drain pans regularly and remove any debris which may impede proper drainage. Ensure that any areas of the home which are not heated or cooled such as crawl spaces, attics and garages are insulated and sealed. This can help to reduce condensation by decreasing the temperature variations between the air inside the ducts and around the ducts. Check that your unit is optimized for the size of your home. If your air conditioner unit is over sized, there is a greater chance that it will cycle more frequently on and off which can reduce the ability to remove particles of moisture from the atmosphere. You should also engage in regular air duct cleaning. Home air duct cleaning should be done every three or four years, depending on the type of system, amount of usage, whether there are any pets or smokers in the home. 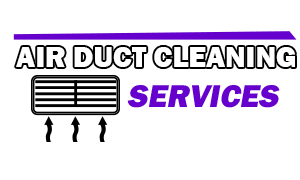 Air duct cleaning West Hollywood advices that if you notice a stale smell or an increased need for air filter replacement, this is a good indication of a build-up of debris accumulating in the vents prompting a need for cleaning. Allowing debris to build up can encourage bacteria and mold to grow, so it should be dealt with regularly. Mold and certain forms of bacteria can be very toxic to the atmosphere of your home. If you notice any signs of mold or mildew on your vents, you should address the issue promptly to avoid further air contamination.